I don’t eat a lot of quail in the states. 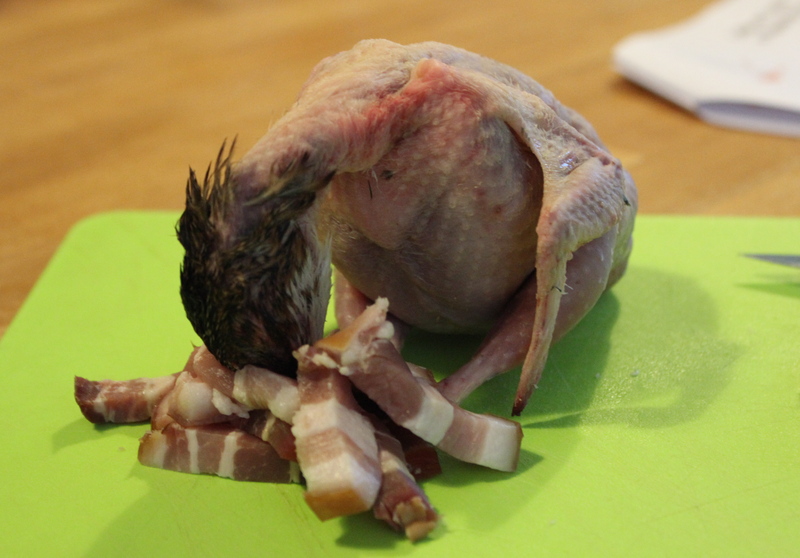 I hardly ever see it on menus (except, coincidentally, at Il Buco Alimentari e Vineria, where I just finished a casual Roman dinner), and I know many regard it as a difficult bird with a few too many small bones. 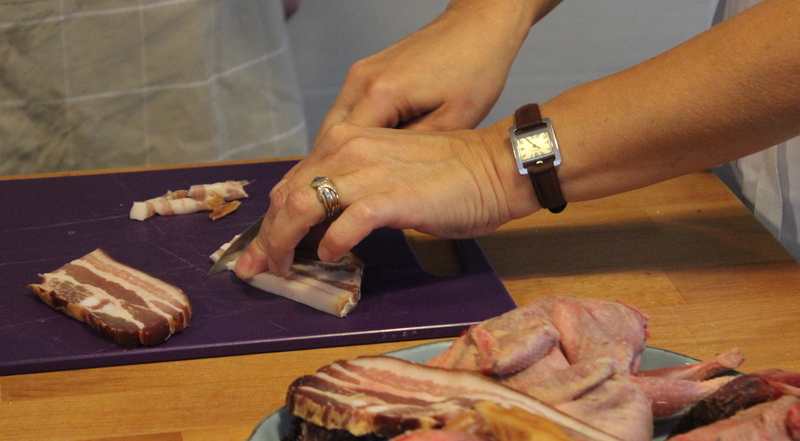 So when our lovely cooking instructor in Bretagne announced that we would be quailing for lunch, I was quite intrigued. 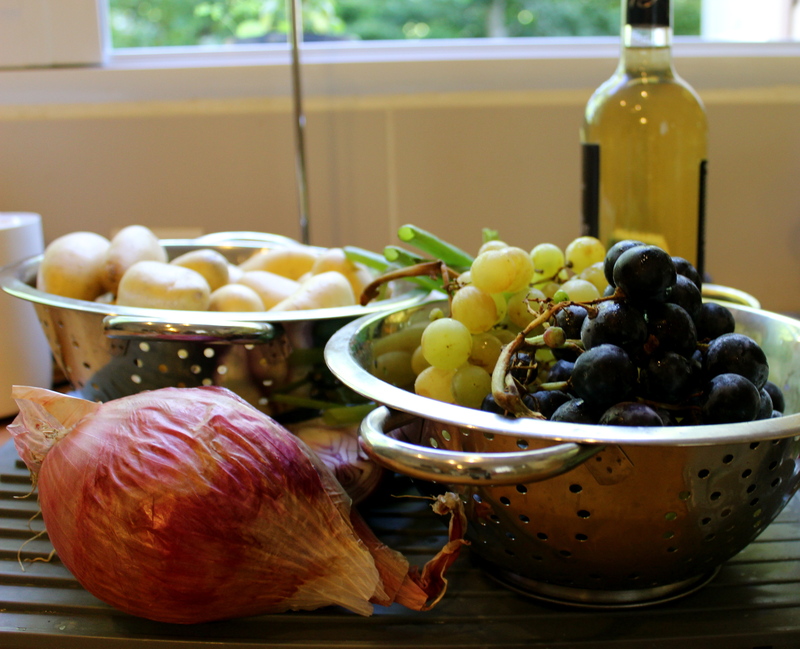 It was a surprisingly simple cooking process, and we complimented the protein with salubrious accompaniments such as lightly sauteed grapes for a bit of sweetness and roasted potatoes for additional balance. The bird was perfectly tender, and the light sauce with raisins and bacon was a far more interesting reduction than your typical gravy. 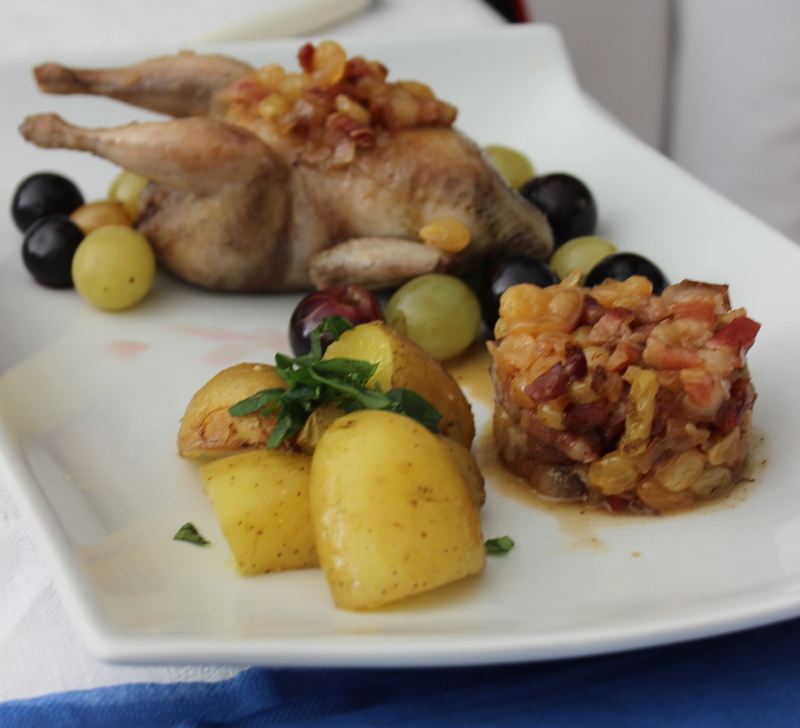 The quail dish was one of my favorites that we made that week in Bretagne, though I am not fond of bacon and I find it rather a shame that France has pesky pits in their grapes. 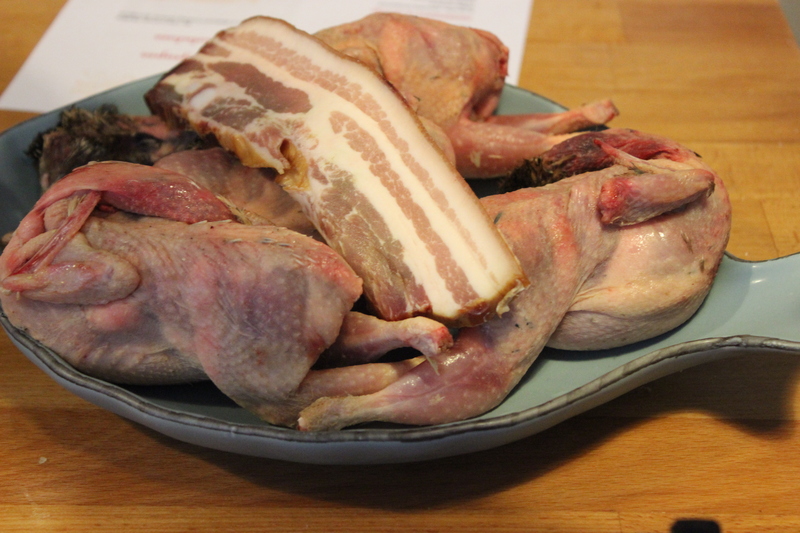 Quail and bacon from the market. 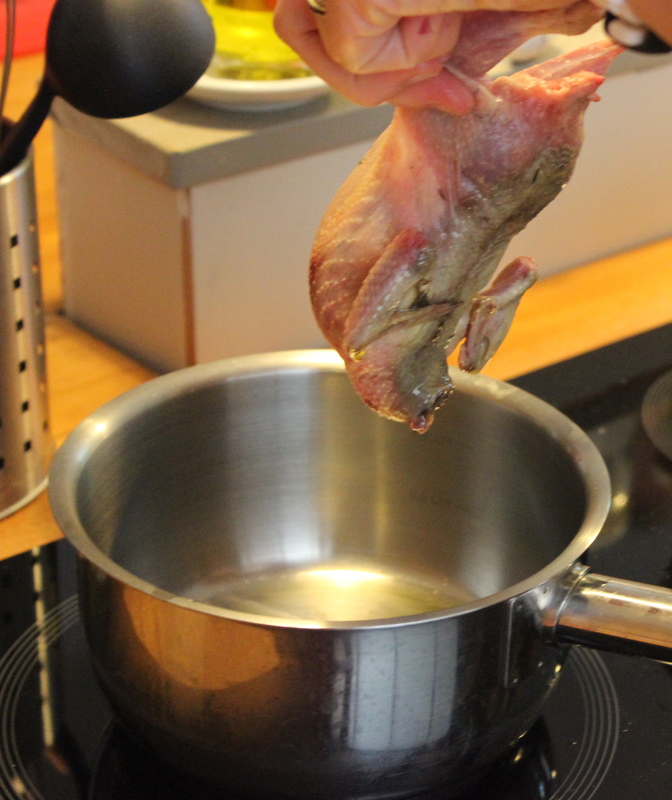 Remove the quail from the pot and set aside. 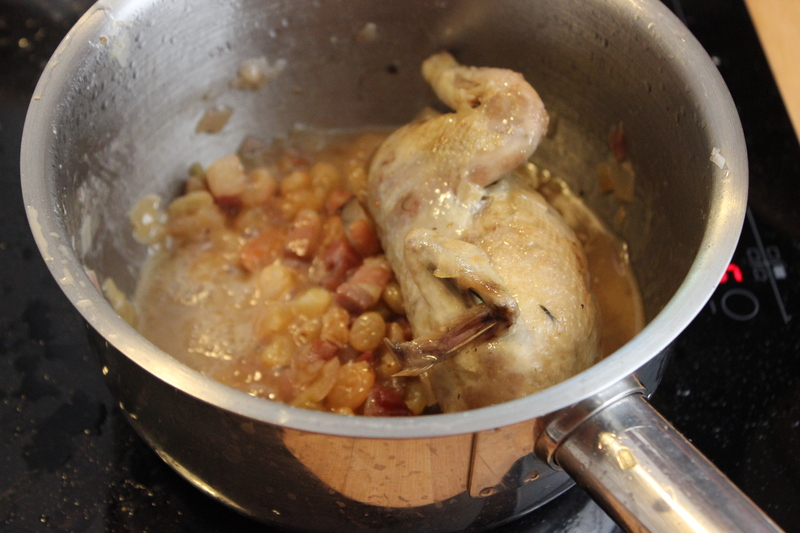 After removing the quail, deglaze the pot with a little white wine. 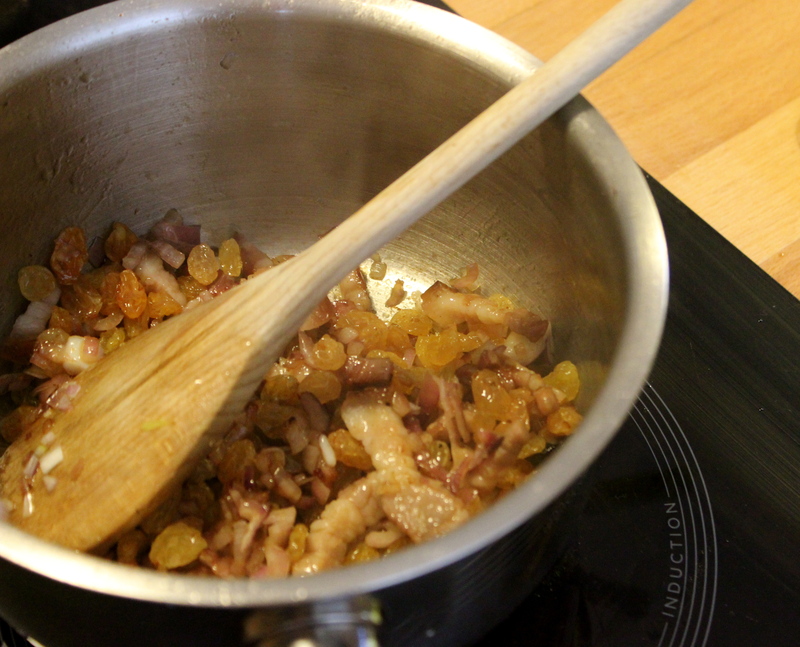 Saute the bacon, raisins, and red onion in the same pot. Add the quail back to the pot. 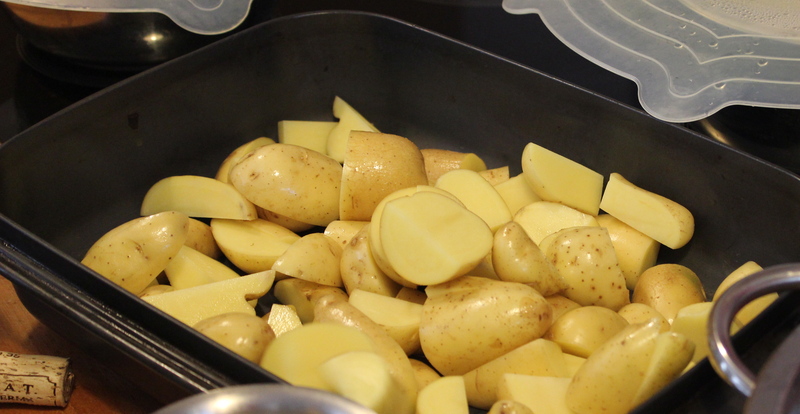 Potatoes, quartered, for roasting and serving alongside. Peel and slice the onions. Dice the bacon. Put olive oil in a large dutch oven over high heat. Add the quails. 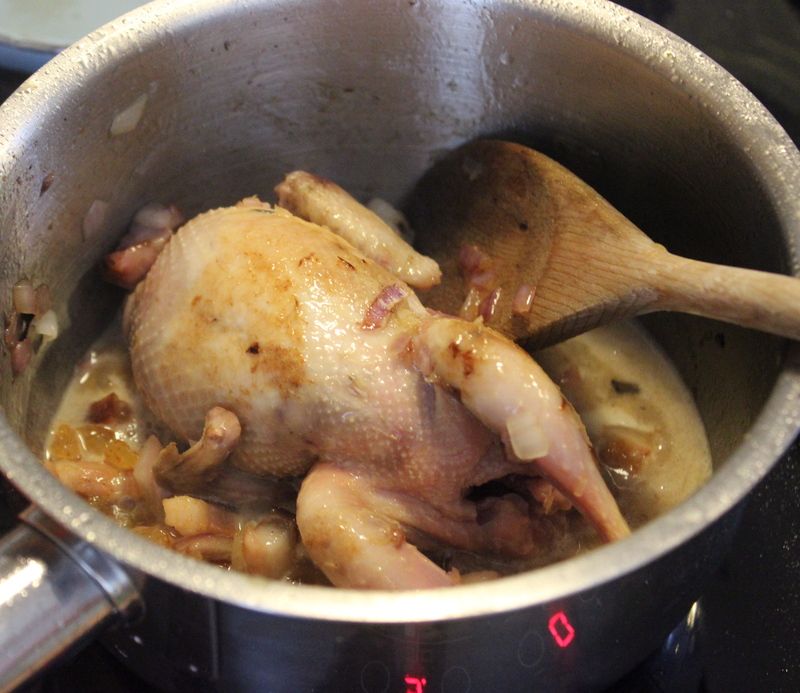 Reduce to medium heat, and stir until the quails are gold in color. Remove and reserve. Put sliced onions and bacon in the same dutch oven and stir. Add the raisins and half of the honey. Cook for five more minutes. 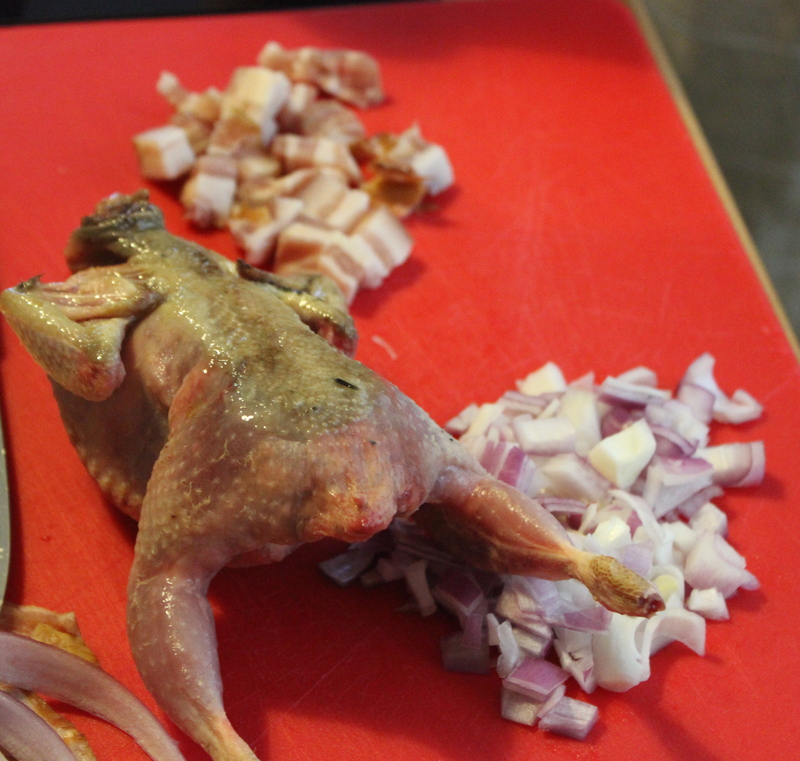 Put the quails back in the pot, deglaze with wine, season with salt and pepper. Cover and cook over low heat. In the meantime, saute the grapes in a saucepan with the other half of the honey until caramelized. Add the grapes to the quails 5 minutes before the end of cooking time.